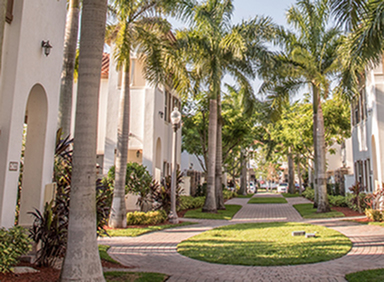 Boca Raton has long been recognized as a great place to live the good life in Florida. And for good reason. The area is home to great schools – some of the best in the nation, actually – even better shopping options and an all-access location that’s just close enough – and just far enough – from the action in Miami and Ft. Lauderdale. That’s what makes Alister Boca Raton so ideal. Our location is awesomely close to the best that Boca Raton has to offer – schools, work, shopping, dining, the whole nine. From your commute to your Target runs, getting around is a breeze with our community as your home base. Plus, there’s an added bonus: a dramatic reimagining of the entire community. And we use the word ‘reimagining’ deliberately because what we have done at this community is no ordinary renovation. No sir. We’re talking extreme makeover, here. Inside and out, top to bottom. First, the inside. Our apartments have received an overhaul, with, well, all-new everything. We have invested thousands of dollars in each home and added brand-new features like stainless appliances, custom cabinets, hard surface counters, upgraded fixtures and real wood flooring. It’s absolutely gorgeous. Next, the outside, where great things have happened. We've added beautiful landscaping, designed to dazzle with local botanicals and blooming flowers everywhere you go. Every building, too, has received a facelift of sorts, with a new designer paint scheme. And what about top to bottom, you ask? Well, that comes in the form of an upgraded amenity package on par with the newest luxury apartment communities. We’ve created new, expansive amenity spaces that include a state-of-the-art fitness studio, media room and multiple social zones. You may never want to leave home. Seriously. Best of all, you can have everything Alister Boca Raton has to offer – the apartment, the amenities, the location – all at a great value. 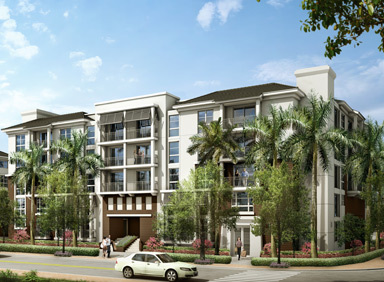 So, when you’re ready to live the (very) good life, come home to Alister Boca Raton. Storied setting meets modern mindset at Modera Riverhouse. A place that’s exotic, yet accessible– with the perfect conveniences.